The 12:30pm shows are open to the general public. 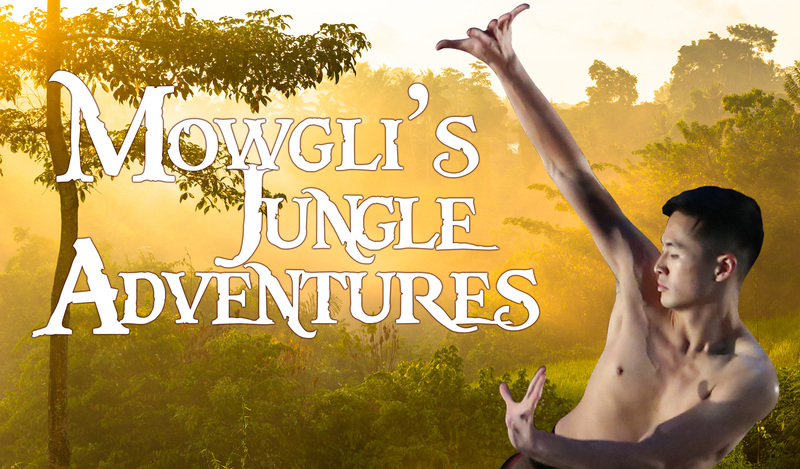 Children’s Concert Society presents Verb Ballets new story ballet Mowgli’s Jungle Adventures choreographed by Associate Artistic Director Richard Dickinson on April 17 & 18, 2019 at EJ Thomas Hall in Akron. Shah Capital Management is proud to be the Producer and Exclusive Sponsor for Mowgli’s Jungle Adventures. The ballet includes the professional dancers of Verb Ballets plus a special guest appearance by Josie Wolfenbarger with A Special Wish. The updated revival is based on Rudyard Kipling’s classic tale of an Indian boy abandoned by his parents and raised by a pack of wolves, this exciting new work utilizes ballet to tell the story of Mowgli and his wild adventures. Verb Ballets’ new story ballet integrates a unique blend of dance styles and evocative instrumental music to transcend barriers to illustrate the value of acceptance and importance of community. The story ballet will feature new costumes by Janet Bolick and original lighting design by Ben Gantose. The story has a special appearance from Shri Kalaa Mandir-Center for Indian Performing Arts with traditional Indian dancers to feature the characters of Kaa, the python and Hathi, the elephants. Children Concert Society presents the Concert Hall Series to tie performances into curriculum and offer an enriching opportunity of arts education for students. Children’s Concert Society works with schools across the county to bring in student to witness the magic of the theatre. The 45-minute story ballet is presented for two performances at 9:45am (SOLD OUT) and 12:30pm on April 17 & 18, 2019. Cost is $5 per student. Limited scholarships are available for students who cannot pay the entire admission fee. For schools or groups of five or more please call our office 330-972-2504. The 12:30pm shows on April 17 & 18, 2019 are open to the general public and tickets are $5. The Children’s Concert Society (CCS) is a non-profit educational, volunteer organization founded in 1947 in Akron, Ohio. The first three concerts for the children of our community were given by the newly-formed Akron Symphony Orchestra during the 1947-48 school year. They were so enormously successful that, despite the demise of the orchestra, the women’s committee was determined to continue to provide musical pleasure and education to the school children of the Akron area. Accordingly, they formed a new organization–the Children’s Concert Society (CCS). CCS presented the Cleveland Orchestra from 1948 until 1975 and also presented concerts by the Akron Symphony Orchestra throughout it’s history. CCS is an all-volunteer Board, except for one part-time administrator. Except for minimal office and operating costs, CCS channels all funding into artistic productions. Through time CCS has formed close collaborative relationships with schools, local Ohio artists and The University of Akron School of Music to connect children to music in our community. Bringing the highest caliber of artistic talent to the expanding minds of children. This is often many students first concert hall musical experience.